The Groundbolt AT range of anchors hammer directly into the ground and have a welded ring through the top. 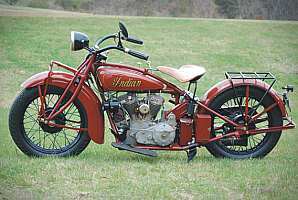 Modern road motorcycles have complex immobilisers and alarms, older bikes have key switches, off road, classic and vintage bikes generally have no ignition lock whatsoever. 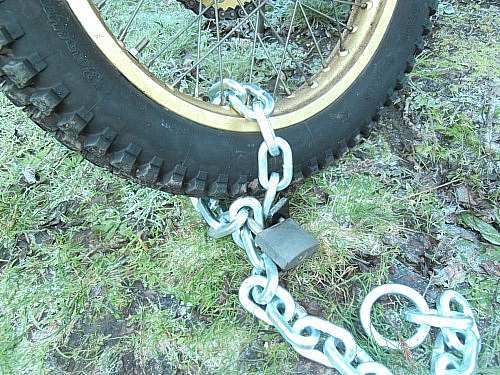 Whatever type of onbike system is used, the most effective and sometimes only available deterrent is still to physically lock the bike to an immovable object. 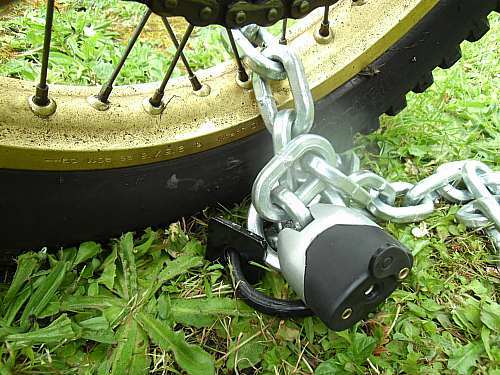 A web search will reveal a large range of anchoring devices, designed specifically to combat motorcycle theft. 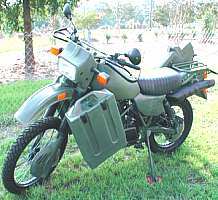 The Groundbolt AT Motorcycle Ground anchors do not compete directly with these products, instead, they offer an alternative for use where other systems are not suitable. The spiral ground anchor is suitable for providing a secure point in: grass, soft or hard ground, heavily compacted ground, even tarmac*. The complete installation is likely to take around 5 minutes and can be carried out in any weather conditions as no concrete is required. They are ideal for permanent or temporary secure points, use in rented properties, bike shows and displays, off road competition paddocks etc. They can be fitted through shed floors. The Groundbolt AT range of spiral ground anchors have a welded steel ring for the chain. The Standard 40mm and 50mm Erdanker anchors have a 10.5mm hole in the top for a padlock. The ED16mm range have a 16mm hole in the top, to take larger padlocks. The pull out values depend on ground conditions. When tested in average ground, the 40x680 required a pull of 240kg, the 50x900 required a pull of 510kg. 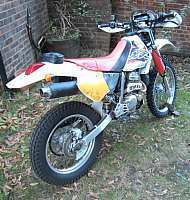 In better ground conditions the values were 650kg and 1025kg. 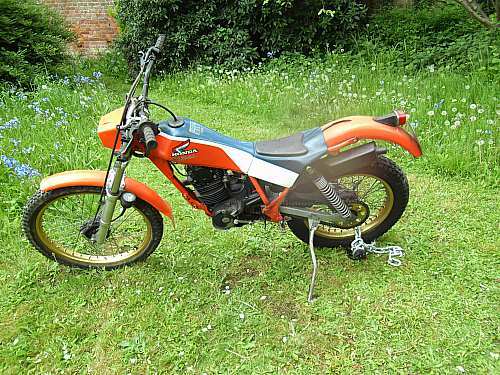 1/ Ripping it directly out of the ground with the motorcycle attached - Almost impossible. 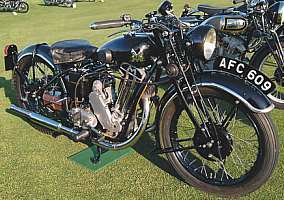 2/ Twisting the entire bike round the anchor, lifting the wheel until everything is out of the ground - almost impossible. 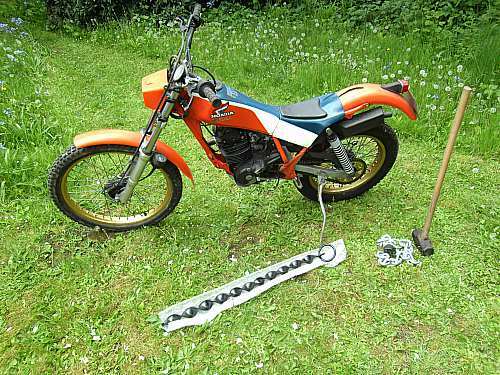 3/ Using a petrol disc cutter to cut the chain - very noisy. 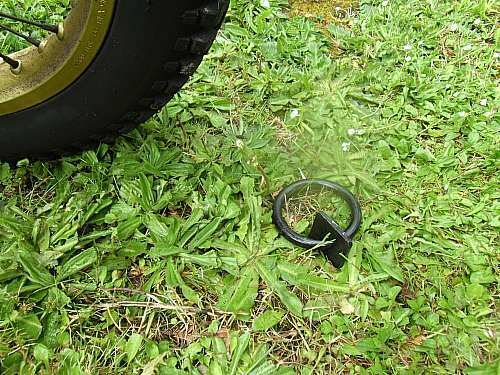 4/ Unlocking the padlock in the normal way, taking the chain off and using a bar or strong screwdriver, and simply winding the anchor out, most anchors take about a minute or less to remove this way and leave no noticeable disturbance to the grass. *When installing through tarmac, drill a 20mm dia (25mm for the 50mm anchors) pilot hole first. Standard Erdanker anchor in grass. 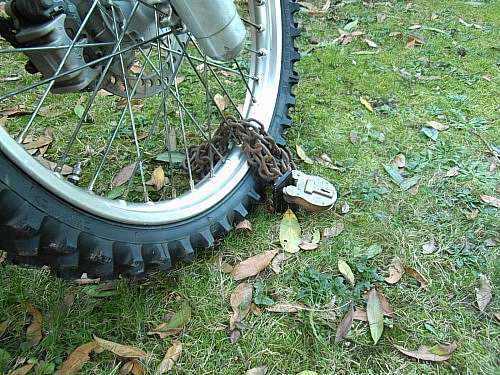 There is a lot of confusion over bike security products, with claims and counterclaims. Our products and all the competing ones are not designed to prevent theft - no manufacturer will accept liability if your bike is stolen and you used their product, The products are intended to make stealing your bike more awkward and more time consuming than stealing someone elses bike. Using hardened shackles, hardened padlocks etc. will stop a hacksaw and a chisel, however it won't stop a hand held grinder. Groundbolt anchors will flex at the top due to slight ground movement, anchors bolted to brickwork will be more rigid, however it is very difficult to cut through a chain or padlock if it is moving slightly. Anchors for bolting to brickwork might be strong but unfortunately bricks are easily broken. Groundbolt motorcycle anchors are of course only suitable where there is open ground, they offer a level of security that exceeds that provided by many other anchors, generally at significantly lower cost and with installation times of a few minutes at most, plus they can be removed when needed without any damage. They can go directly into the ground and in most cases through tarmac. When used with tarmac, there is no ugly repair needed. A pilot hole will have to be drilled first to guide the anchor through the tarmac layer. Note: the anchors will not go through concrete.